It includes exclusive range of FGKH product. These khukuris are specially designed and scientifically tested by our artists blacksmith. Steel which is highly graded and purified is used to make these types of khukuris. 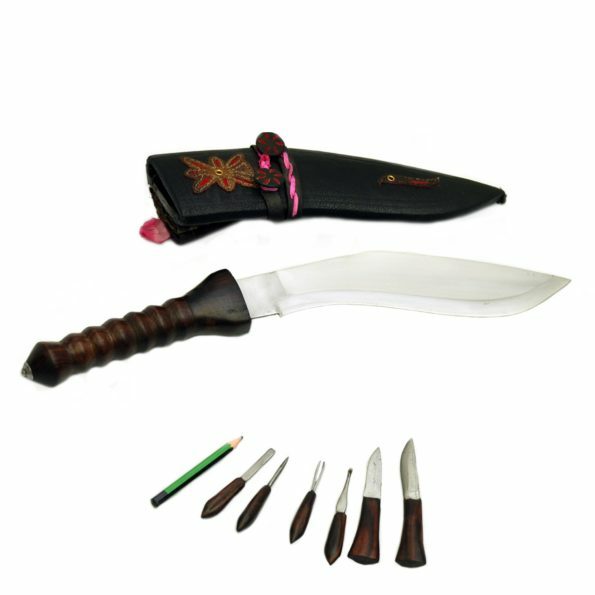 These khukuris contain scabbard which is significantly different from others, made of bone, wood or horn or combination of all these. These khukuris comes with other extra two blades called “karda” (for skinning animanls) and “chakmak” (for sharpening the blade). This khukuri was used for longer centuries. The blade is 10 inch made of highly purified and graded carbon steel. 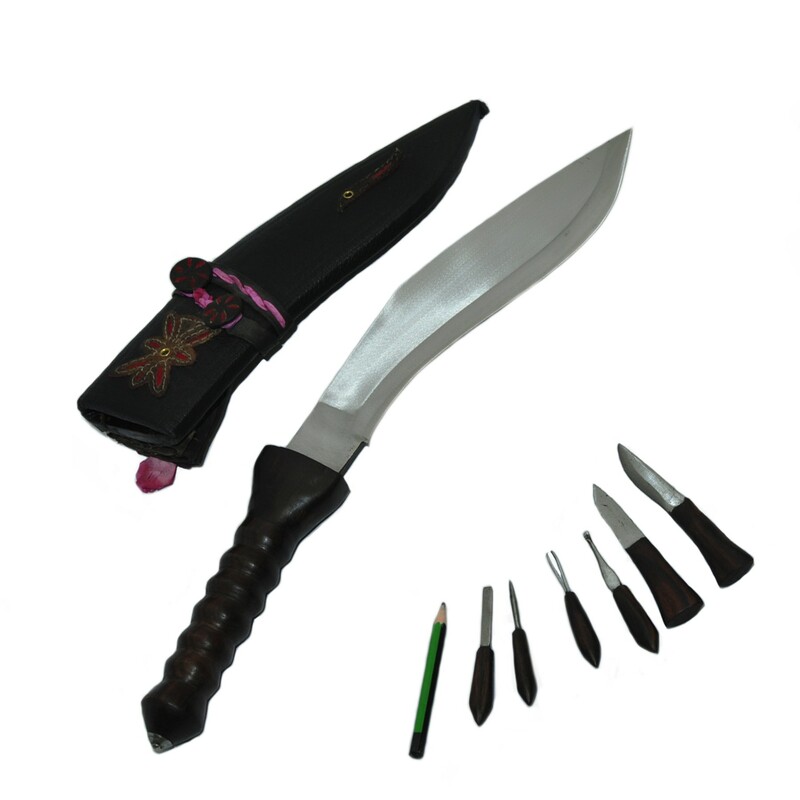 It’s handle is inspired from the historical Khukri hence named “Historical Khukuri”. Blade Size and Type: 10 Inch. Complementary: Certificate of Guarantee, Tag, Wrapping Lokta Pape. Material Used: Highly Graded Carbon Steel, Water Buffalo refine Leather for Scabbard(outside) and Rosewood for the Handle, Pinewood for the Scabbard (inside), Laha( Nepali Traditional Glue).